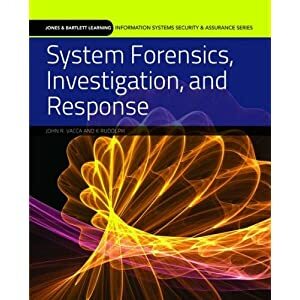 New book on the block, “System Forensics, Investigation, And Response” by John R. Vacca and K Rudolph. Published by Jones & Bartlett Learning. If I manage to get through it, I’ll write a short review. This entry was posted on Wednesday, December 15th, 2010 at 12:11 pm	and is filed under Books, Security. You can follow any responses to this entry through the RSS 2.0 feed. You can leave a response, or trackback from your own site.